Our journey began back in 2011 in the train station parking lot used by the popular West Windsor Community Farmers market on Saturday mornings. Our idea was to cook hot, fresh crêpes to order, filled with our micro-batch jams, pickles and other local farm ingredients. We quickly developed a loyal following and five years later, in October 2014, we opened our first brick & mortar location at 20 Nassau Street, in the heart of downtown Princeton. Today our mission remains the same, a celebration of our local, regional farms wrapped in a crêpe with an ever-changing menu that highlights the very best local ingredients at their peak of freshness. In addition to crêpes, we also offer a daily selection of scratch-made seasonal soups and salads and a variety of home baked goods, complemented by an assortment of regional, all-natural juices and drinks, as well as specialty coffee and tea drinks. We are also committed to making a difference in how we manage waste, by partnering with local resources to compost all our food and other waste and, by only using compostable paper and plastic take-out products. We are a locally owned and operated small business and have worked hard building our brand and business to where it is now. 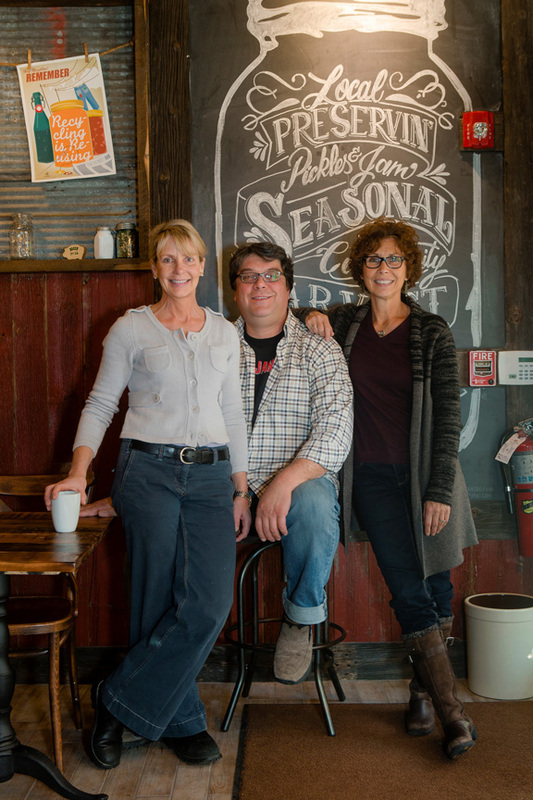 We are very thankful to the wonderful and supportive community of Princeton we live in and, to our hardworking, dedicated staff, for helping us quickly become the gathering place of choice for quality, regional food, drink and conversation for all who live and visit Princeton!! Hope you have a chance to visit & enjoy.